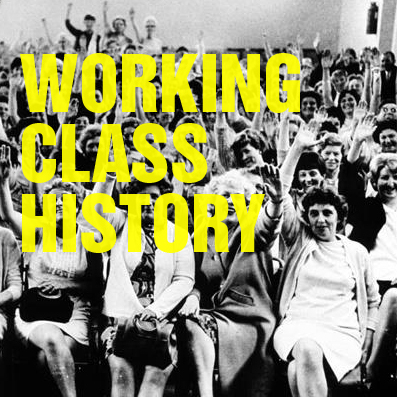 Today, 30 July, anniversary of the first recorded strike in North American history, we are launching a new working class history page on Facebook and Twitter to celebrate our history: people's history. History is not made by the actions of a few rich and powerful individuals, kings and queens and politicians, like so much of the history we learn in school. History is made by the combined everyday actions of hundreds of millions of us: women, men, youth, people of colour, migrants, indigenous people, LGBT people, disabled people, workers, the unemployed, housewives - the working class. It is our struggles which have shaped our world, and any improvement in our conditions has been won by years of (sometimes violent) conflict and sacrifice. On this day in 1766, silver miners in Real Del Monte, Mexico, went on strike against a 25% pay cut. They faced down repression from the bosses' private army and held out until September, when the employers caved in. Facebook.com/workingclasshistory and @wrkclasshistory are dedicated to all those - like the Real Del Monte miners - who have struggled in the past for a better world, and who continue to do so now. To help record and popularise our grassroots, people's history, as opposed to the top-down accounts of most history books. Mostly we will post On This Day in History… content, a couple of items per day. We know that Facebook has its problems, however one thing which can't be denied is its ability to share information virally, and to reach people who might otherwise never see a radical pamphlet, book or newspaper. So please get involved: Like our page, Like and share our content, and invite any of your friends who may be interested to Like the page as well. This page has been founded by a group of people who also use libcom.org - a resource for discontented workers, which contains libcom.org/history, possibly the internet's biggest archive of specifically working class and people's history. We are also keen to expand the libcom history archive here, and we need people to help us so please contact us or let us know in the comments below if you are interested. History is not made by the actions of a few rich and powerful individuals, kings and politicians… history is made by the combined everyday actions of hundreds of millions of us: women, men, people of colour, migrants, LGBT people, disabled people, workers, the unemployed - the working class. Do you still need a hand with this? Unfortunately the next 2-3 weeks I cannot commit any time to anything at all but afterwards, if there's anything you think I might be able to lend a hand with, PM me and let me know. So please follow us and invite your friends to do likewise! Worked for me. Chrome on cell phone. It looks great. cool. Was basically testing a new way of doing the working class history Facebook page calendar, which we could then embed on here. Also worked on my laptop (Chrome on Windows). That feature will be great, especially when combined with those maps. I understand it requires a lot of work but more active purging of fascists and other reactionaries who comment on the facebook page would be greatly appreciated.